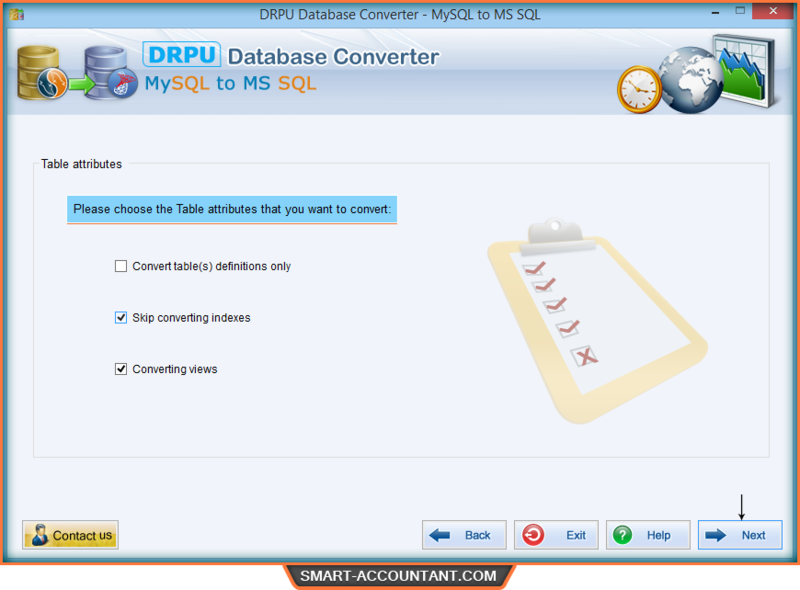 After connection, select desired table attributes by checking the option. 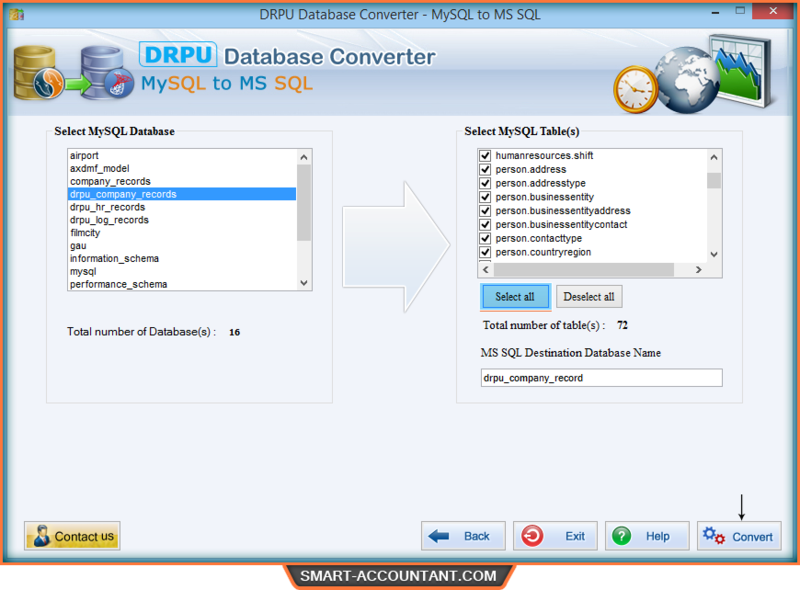 Choose your database along with schema from left panel and corresponding tables from the right panel. Click convert button. Select views from a list and add them to the right panel. 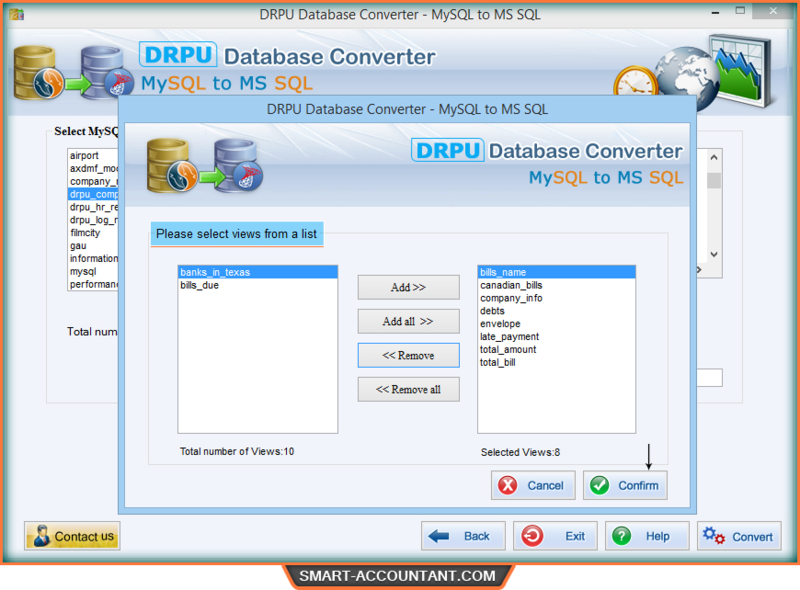 After that click on confirm button to start conversion process. 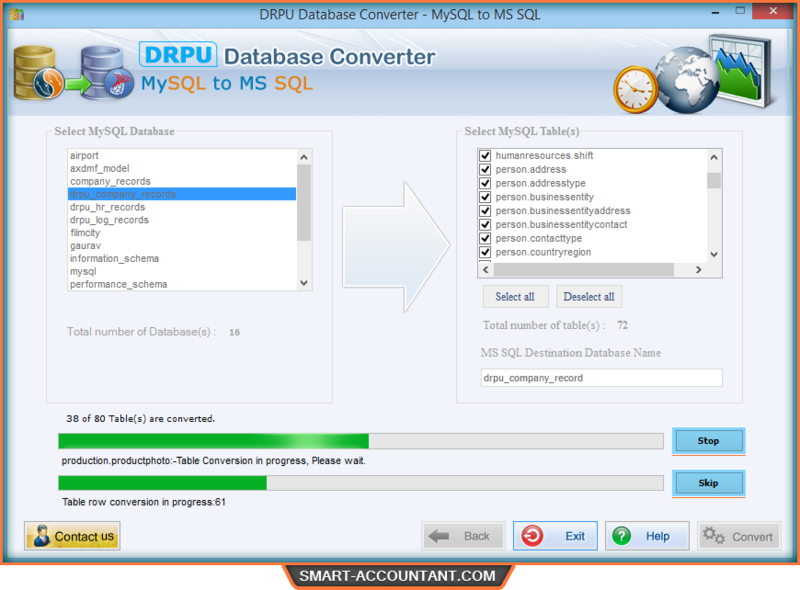 Wizard displays database conversion process is in progress. 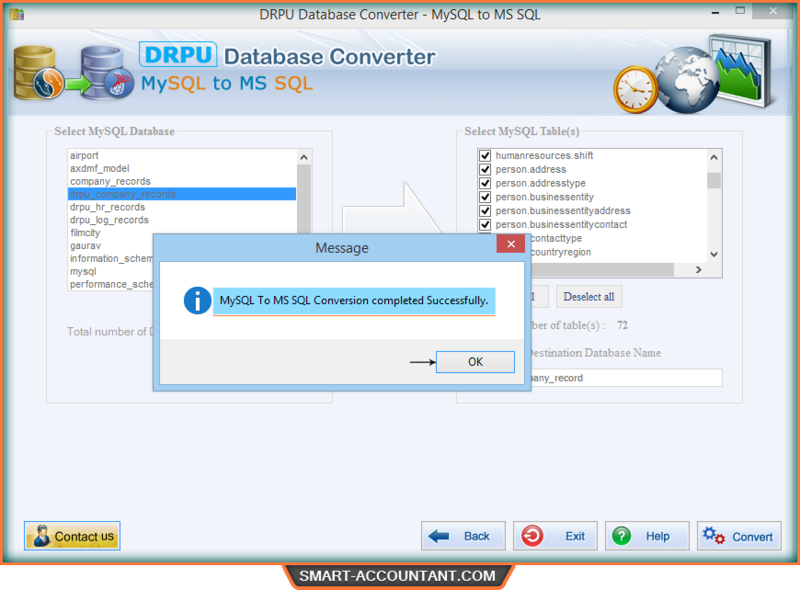 After completion of DB conversion process, a message window will open to confirm database conversion completed successfully.